Food brings people together. We’ll make sure it’s worth talking about. Taste. A Food Company. has helped transform everyday meetings and once-in-a-lifetime celebrations into memorable gatherings defined by good food and better company. No longer does a Tuesday work meeting mean an unappetizing sandwich. And no more mix-and-match menus that leave you feeling uninspired and put in a box. When working with Taste, an original menu of complimentary and fresh flavors is created just for you. 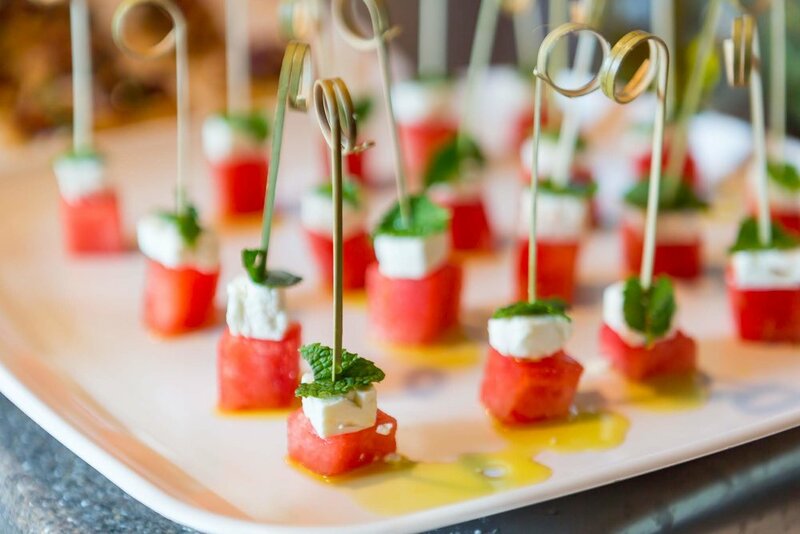 Inspired by your personality, special memories, and gathering environment, the thoughtfully chosen foods help capture the uniqueness of your event—and the taste buds of your guests. Originally from Cary, NC, Amy began working for Taste in 2014 and purchased the company two years later. She enjoys using her culinary talents to help make her clients’ events tastier and more meaningful.